Dennison’s oncologist, Dr. David Khan of El Segundo, Calif., notes that there are good reasons to prescribe a longer course of radiation for some women. An exclusive analysis for Kaiser Health News found that only 48 percent of eligible breast cancer patients today get the shorter regimen, in spite of the additional costs and inconvenience of the longer type. The data “reflect how hard it is to change practice,” said Dr. Justin Bekelman, associate professor of radiation oncology at the University of Pennsylvania Perelman School of Medicine. A growing number of patients and doctors are concerned about overtreatment, which is rampant across the health care system, argues Dr. Martin Makary, a professor of surgery and health policy at the Johns Hopkins University School of Medicine in Baltimore. From duplicate blood tests to unnecessary knee replacements, millions of patients are being bombarded with screenings, scans and treatments that offer little or no benefit, Makary said. Doctors estimated that 21 percent of medical care is unnecessary, according to a survey Makary published in September in Plos One. Unnecessary medical services cost the health care system at least $210 billion a year, according to a 2009 report by the National Academy of Medicine, a prestigious science advisory group. Those procedures aren’t only expensive. Some clearly harm patients. “It’s just bad care,” said Dr. Rebecca Smith-Bindman, a professor at the University of California-San Francisco, whose research has highlighted the risk of radiation from unnecessary CT scans and other imaging. 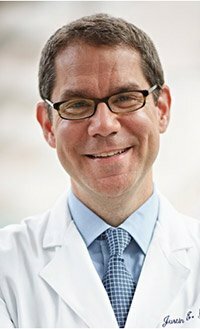 All eligible breast cancer patients should be offered a shorter course of radiation, said Dr. Benjamin Smith, an associate professor of radiation oncology at the University of Texas MD Anderson Cancer Center. “Any center that offers antiquated, longer courses of radiation can offer these shorter courses,” said Smith, lead author of the radiation oncology society’s 2011 guidelines. For survivors of early breast cancer like Reeves — who had no signs of symptoms of relapse — “these tests aren’t helpful and can be hurtful,” said Dr. Gary Lyman, a breast cancer oncologist and health economist at the Fred Hutchinson Cancer Research Center. Reeves’ primary doctor declined to comment. In 2012, the American Society for Clinical Oncology, the leading medical group for cancer specialists, explicitly told doctors not to order the tumor marker tests and advanced imaging — such as CT, PET and bone scans — for survivors of early-stage breast cancer. Beyond wasted time and worry for women, these scans also expose them to unnecessary radiation, a known carcinogen, Lyman said. A National Cancer Institute study estimated that 2 percent of all cancers in the United States could be caused by medical imaging. Health care costs per breast cancer patients monitored with advanced imaging averaged nearly $30,000 in the year after treatment ended. That was about $11,600 more than for women who didn’t get such follow-up tests, according to Lyman’s study. Women monitored with biomarkers had nearly $6,000 in additional health costs. “It’s the worst kind of financial toxicity, because you’re incurring costs for something with no benefit,” said Dr. Scott Ramsey, director of the Hutchinson Institute for Cancer Outcomes Research. Repeated needle sticks — including those from unnecessary annual blood tests — have scarred the veins in her left arm, the only one from which nurses can draw blood, she says. Nurses avoid drawing blood on her right side — the side of her breast surgery — because it could injure that arm, increasing the risk of a complication called lymphedema, which causes painful arm swelling. The Choosing Wisely campaign, launched in 2012 by the American Board of Internal Medicine (ABIM) Foundation, aims to raise awareness about overtreatment. The effort, which has been joined by 80 medical societies, has listed 500 practices to avoid. It advises doctors not to provide more radiation for cancer than necessary, and to avoid screening for tumor markers after early breast cancer. Many doctors cling to outdated practices out of habit, said Dr. Bruce Landon, a professor of health care policy at Harvard Medical School. Because insurers pay doctors for each radiation session, for example, those who prescribe longer treatments earn more money, said Dr. Peter Bach, director of Memorial Sloan Kettering’s Center for Health Policy and Outcomes in New York. Want to contribute to the conversation about overtreatment on Facebook? Click here.